Are you affected by the government shutdown? Here's how to talk to your children about it. As the government shutdown stretches into its second month with no resolution in sight, how do we speak to our children about what’s happening? Families of government employees have gone over a month without a paycheck, making it difficult for some of them to afford housing, health care and food. Funding for government programs that benefit children, such as the Supplemental Nutrition Assistance Program (SNAP) and the Special Supplemental Nutrition Program for Women, Infants and Children (WIC), is threatened. And reports are circulating that federally subsidized school lunch programs will experience cuts, such as in North Carolina and Kansas. Dr. Thomas Ollendick, a professor of psychology at Virginia tech who specializes in stress and anxiety in children, told ABC News that it can be difficult for families to discuss the financial and food insecurity associated with the government shutdown. He said it’s best to anticipate questions from them and to make it a point to expose them to age-appropriate news. 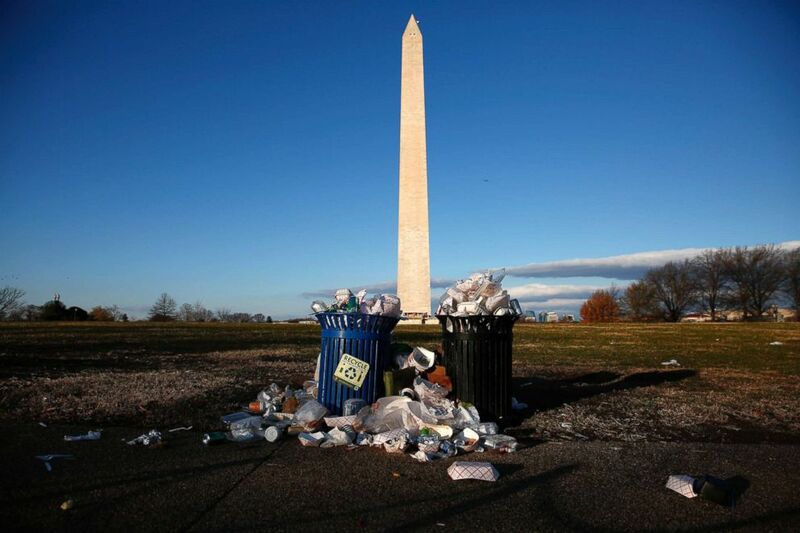 Trash begins to accumulate along the National Mall near the Washington Monument due to a partial shutdown of the federal government in Washington, D.C., Dec. 24, 2018. “We want to transmit understanding and empathy, not anger and stress,” he said. This becomes all the more important when a child becomes stressed, as adding more stress and anxiety will only make things worse. “One of the most difficult things to address with children is uncertainty. They will want to know, ‘When will things get back to normal?’ and you won’t be able to provide a concrete answer,” Ollendick said. To help them calm down, deep breathing can be helpful, Ollendick said. It can also be helpful to change the subject and talk about plans you have with your child, returning to the subject of the shutdown only once they’ve had a chance to calm down. Dr. Erica Orsini is a resident physician of internal medicine and a member of the ABC News Medical Unit. Are you feeling the impact of the government shutdown, even if you're not a federal employee or contractor? Are you a member of the military, federal law enforcement or work for the government and are worried about paying your bills? Are you impacted but still support the president's position in keeping the government closed? Tell us how the shutdown has impacted you or your family by sending us a short video or audio file through this online form. Send us your shutdown story and video here. Affected by the government shutdown? Here's how to talk to your kids about it.